An accomplished business executive, government official and humanitarian, Byron V. Garrett is a true renaissance man. One of the most compelling and inspirational voices of our time, Byron is Chairman of the National Family Engagement Alliance (NFEA), a nonproﬁt dedicated to transforming education through meaningful family engagement. Byron is the Visionary and Chief Creative Officer of The Valdecio Collection, a lifestyle luxury brand consisting of clothing, watches, fragrances and eyewear. The former Director of Educational Leadership & Policy for Microsoft serves as a consulting author for Scholastic. In 2017, Scholastic launched the Byron V. Garrett Social Emotional Learning Collection. Inspired by his bestselling book, The ABC’s of Life (Scholastic 2013), the library was created to equip young people with the skills needed to navigate society, making it a powerful and inspiring resource for today’s classroom. Byron is also the author of the highly popular There’s Greatness on the Inside and, Motivated for Greatness. 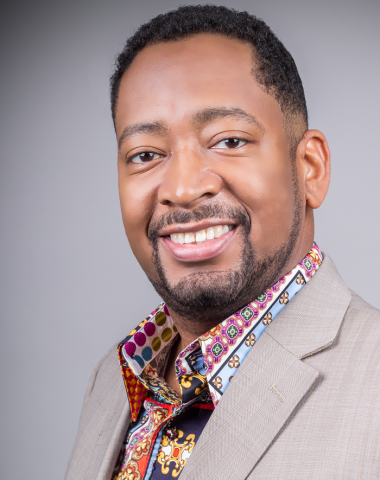 Currently, he is a Board Member for CircleIn, the CeCe Peniston Youth Foundation and the High Point University Alumni Association. Garrett was named “Mr. Enterprise” by Black Enterprise on their Modern Man 100 list. For availability and speaker fees, please contact Byron V. Garrett’s speaking agent at Chartwell here, or call +1 972 385 1021 for U.S. inquiries or +44 207 293 0864 for international inquiries. National Afterschool Alliance - Keynote - March 2018 from byron garrett on Vimeo. SPKR4LIFE Promo Aug 2018 from byron garrett on Vimeo.